Slick Marketers was first formed in 2010, as a printer ink purveyor that prides itself on offering high-quality ink, at impressively low prices. This model was aided in its development, by the three core values that the owners of the company established at the very beginning. These three core values are business, fun, and community, which embody every sale of YoYoInk products, including Canon PG 40 XL. With business, fun, and community serving as the pillars that the company has been built on, there’s no doubting the importance of each value. However, business takes precedence, as it’s business that encompasses the profit that the company yields. 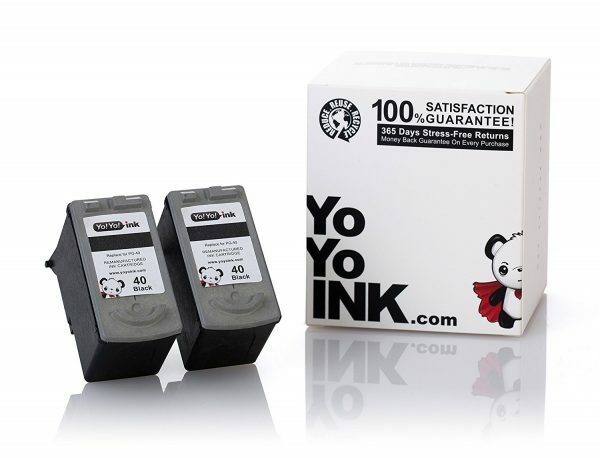 After all, sales of products including Canon PG 40 ink, are a tangible example of the business that YoYoInk conducts. With that being said, business without pleasure often isn’t an effective balance, so it’s important to know that YoYoInk has a real passion for the business that it maintains. Although passion is extremely important to YoYoInk’s business, so is fun. Fun may not be widely seen as a traditional concept in the workplace, but YoYoInk has incorporated fun into the business, largely through Super Panda. Super Panda is the fun, lovable mascot of the company, and selling Canon 40 ink just wouldn’t be the same experience without him. After all, what isn’t fun about a Panda in a cape, fighting the good fight against exorbitant OEM prices? Community is the third and final core value at YoYoInk, and it’s community that serves as the all-encompassing motivator for the company. This is due to the fact that community refers to the people both inside and outside of the community, that make the company tick. Customers are an incredibly valuable part of the YoYoInk community due to the fact that they purchase products such as Canon PG 40 black ink, while the owners and staff are an invaluable part of the community due to their influence on everything the company does. Super Panda serves as the primary basis of interaction within the community, adorning the website, in addition to YoYoInk social media accounts. For example, there is a warranty on the website knows as the Super Panda warranty that guarantees 2-year, 100% money-back, on all YoYoInk products.